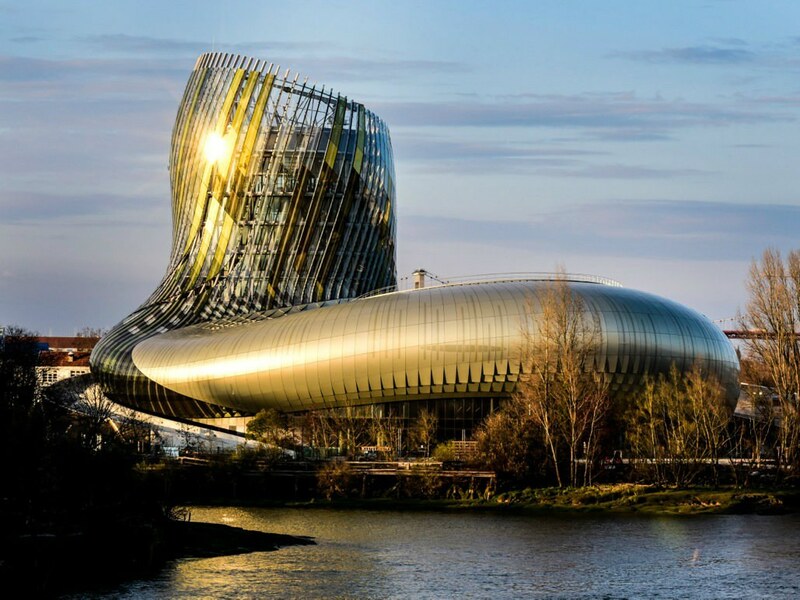 Touted as the ultimate amusement park for wine lovers, I envisioned La Cite du Vin to be something like an adult Disney World with a Splash Mountain roller coaster gliding through red wine rapids and champagne waterfalls. At very least, I fully expected the wine to be flowing freely and to come away from the experience with a joyful buzz. But to my dismay I learned that you can’t believe everything you see on a two-minute online infomercial. After walking 35 minutes from our hotel in the drizzling rain, at the door steps of the La Cite du Vin we were brutally slapped with reality. There were no roller coasters. No grape stomping. No wine tastings. Not even any wine for sale other than at two very crowed high-priced restaurants. Instead, we were thrust into a mob of people, shoulder-to-shoulder, exploring what could very accurately be described as a wine museum. I don’t know about you, but I feel there is a big difference between an amusement park and a museum. After purchasing the twenty-dollar entrance tickets, we learned that the workshops advertised online offering wine sampling were sold out. Nevertheless, equipped with an audio guide to help us navigate the endless maze of interactive video kiosks and glass-enclosed displays, we wandered through the three-story building shaped like an angry snake and were schooled for the next couple hours on the history of wine-making and exporting, and the grape growing process. Although we walked away from La Cite du Vin thirsty and feeling duped, we do now know a lot about grapes and learned a valuable lesson about internet advertising. Some things in life are just too good to be true. And in the case of La Cite du Vin, do yourself a favor and disregard the hype, erase it from your travel checklist, and instead beeline it to one of the many wine bars in Bordeaux that do in fact deliver on their promises.